Cagayan de Oro City – August 28 of every year, the Archdiocese of Cagayan de Oro City celebrates the Feast of its patron St. Augustine of Hippo. Today marks the 391st year of Christianity in this part of Mindanao and it is also the 80th year anniversary of its erection as a diocese. The solemn Eucharistic celebration was presided by the Most Rev. Antonio J. Ledesma, SJ DD, archbishop of Cagayan de Oro and graced by the Most Rev. 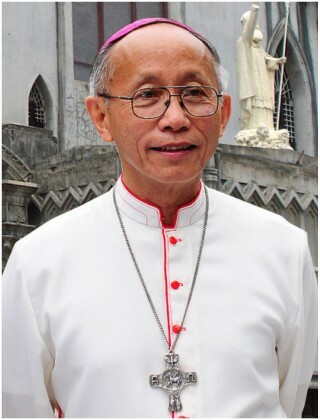 Cardinal Gaudencio Rosales, DD, Cardinal Emeritus of the Archdiocese of Metro Manila as the homilist. Also present in the celebration were 19 bishops and archbishops from all over the country as well as more than a hundred priests and religious. The cathedral was packed with many faithful. In his homily, Cardinal Rosales recalled how the first Augustinian Missionaries labored in bringing Christ to the people of Cagayan de Oro. He likewise congratulated the people and praised the Lord for the enormous growth of the number of the faithful as well the vast development in the city. He said that despite the people’s suffering because of many trials and hardships, mentioning in particular the recent bombing in the city and typhoon Sendong that surprisingly rocked the people, God proves His presence in the way that the people responded to such trials. “Sometimes,” he said, “we need to be surprised” so as to awaken in us the values that Christ has gifted us with, values of selflessness and genuine care for others. He recalled how, while he was the yet bishop of Bukidnon, they rallied against illegal loggers in the area 30 years past. “The people did not listen to us and they even killed one of our priests, Fr. Sator. Now we have seen the result of unheeded call.” He ended his homily thanking once again the whole Christian community of the archdiocese, the pastors and the local government leaders. Days before the fiesta, the city government held various activities with the theme, Panaghigalaay (friendship), as the city is popularly known as ‘the City of Golden Friendship’. Given particular remembrance were the icons of the city whose life and unequaled selflessness helped in making the Catholic Church and the city as they are now. Despite some little fear due the recent bombing incident, the entire fiesta celebration was very peaceful and well secured by the city police force. During the Spanish era there was only the Province of Misamis which included the present Provinces of Misamis Oriental and Misamis Occidental, and was handled by the civil government from Cebu. The Recollect Missionaries came down from Cebu and started a mission in the province. The civil government of its own started only in 1901. And because one part of it was separated from the main by Iligan Bay, the government decided to divide the province into two. Misamis Oriental is the bigger portion. Today the Diocesan Cathedral is one of the 12 Cathedrals that was founded by the Order of Augustinian Recollects in the Philippines. Before 1865, the whole of Mindanao island and Sulu were part of the Diocese of Cebu. In 1865 the western half of Mindanao came under the jurisdiction of the Diocese of Jaro in Panay. Then Pope Leo XIII established the Diocese of Zamboanga, separating it from Jaro and making it the first diocese in Mindanao. 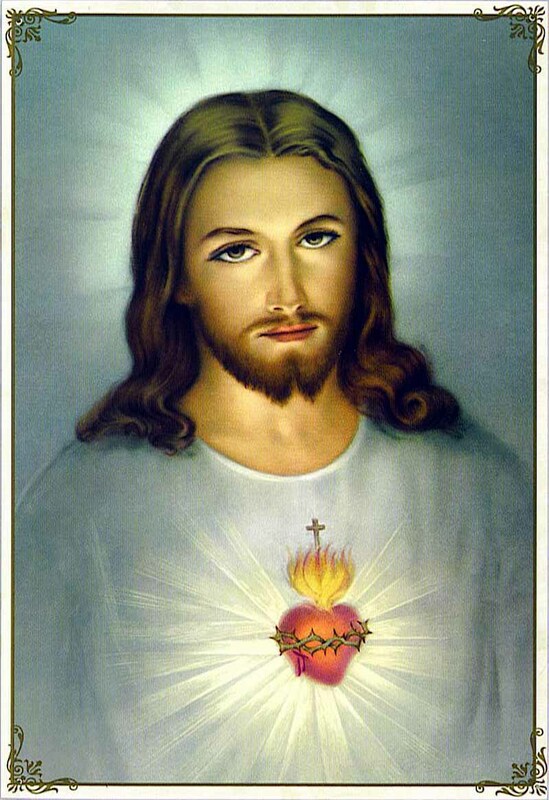 But it was Pope Pius X who executed this in 1910. Thus from 1910 Cagayan de Oro City became part of the Diocese of Zamboanga. On January 20, 1933, Pope Pius XI created a second diocese in Mindanao, that of Cagayan de Oro City, separating it from Zamboanga City and giving it jurisdiction over the then Provinces of Surigao, Misamis Oriental, Misamis Occidental, Bukidnon and part of the Province of Lanao. Together with Zamboanga it became a suffragan of the new Ecclesiastical Province of Cebu. In 1939, the Diocese of Cagayan de Oro was divided again with the creation of the Diocese of Surigao comprising the Provinces of Surigao and Agusan; and in 1951 was divided again with the creation of the Diocese of Ozamiz comprising the Provinces of Lanao and Misamis Occidental. On June 29, 1951, Pope Pius XI elevated Cagayan de Oro City to an archdiocese, coinciding with that of Jaro. The Archdiocese of Cagayan de Oro became the first archdiocese in Mindanao, thereby separating Mindanao from the Ecclesiastical Province of Cebu. It had as its suffragans all the dioceses and prelatures then in Mindanao island: Surigao, Cotabato, Sulu, Davao, Ozamiz, and Zamboanga which had been its mother diocese. It became an archdiocese seven years ahead of its mother diocese. Later, the Apostolic Prefecture of Sulu, the Prelature Nullius of Marbel, the Prelature Nullius of Tagum, the Diocese of Butuan, the Prelature Nullius of Malaybalay, the Prelature Nullius of Iligan and the Diocese of Tandag became suffragans of the Archdiocese of Cagayan de Oro. Eventually four other archdioceses were established in Mindanao island: Zamboanga in 1958, Davao in 1970, Cotabato in 1979 and Ozamiz in 1983. Thus there are at present five ecclesiastical provinces in Mindanao. 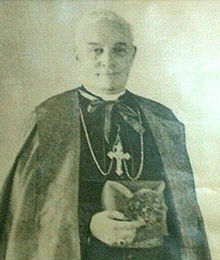 The first bishop and archbishop of Cagayan de Oro was the Most Reverend James Hayes, S.J., D.D., who established the Ateneo de Cagayan (now known as Xavier University – Ateneo de Cagayan) and among others. He was succeeded by Most Reverend Patrick Cronin, S.S.C., D.D. in 1971. Bishop Cronin established the St. John Vianney Theological Seminary. 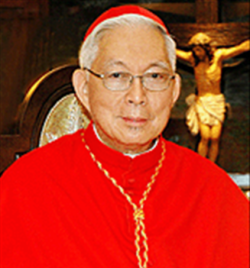 The third bishop was Most Reverend Jesus B. Tuquib, D.D., S.T.D., who was installed as Archbishop with right of Succession on May 31, 1984, and became the Archbishop of the Archdiocese of Cagayan de Oro on January 5, 1988. Today, the current Archbishop is the Most Reverend Antonio J. Ledesma, S.J., D.D., who was installed on March 4, 2006. St. Augustine Cathedral is the city’s main Catholic Church and the seat of the Archdiocese of Cagayan de Oro. The original church was built in 1845 by the Augustinian Friars but was destroyed during the American bombardment in 1945. Only the wooden cross in front of the church survive d up to this day. After the war, American missionary Fr. James T.G. Hayes S.J., who later became the city’s archbishop rebuilt the church inspired by Gothic architecture. Its centuries old stained glass windows came from another old Gothic church which were donated by American Catholics from New York, USA.